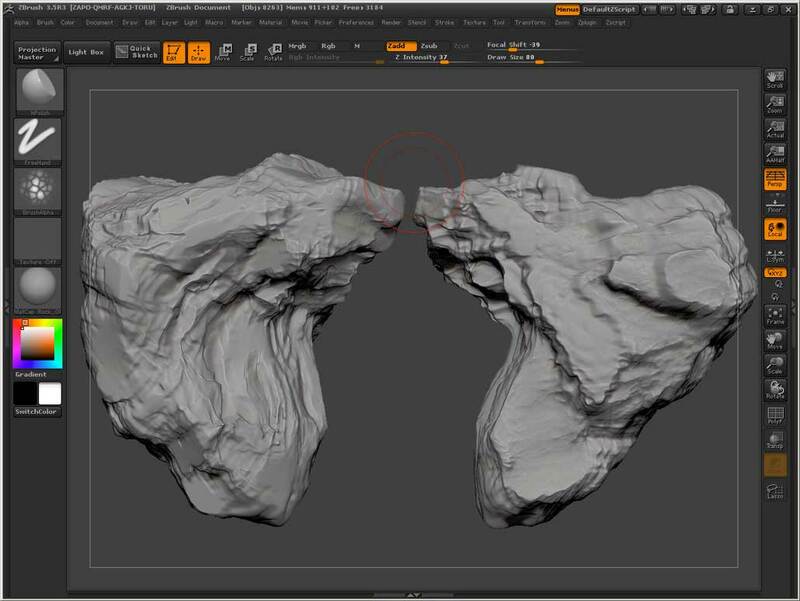 In this tutorial we will look at how to use a few well-suited tools in ZBrush in the creation of a cliff wall. 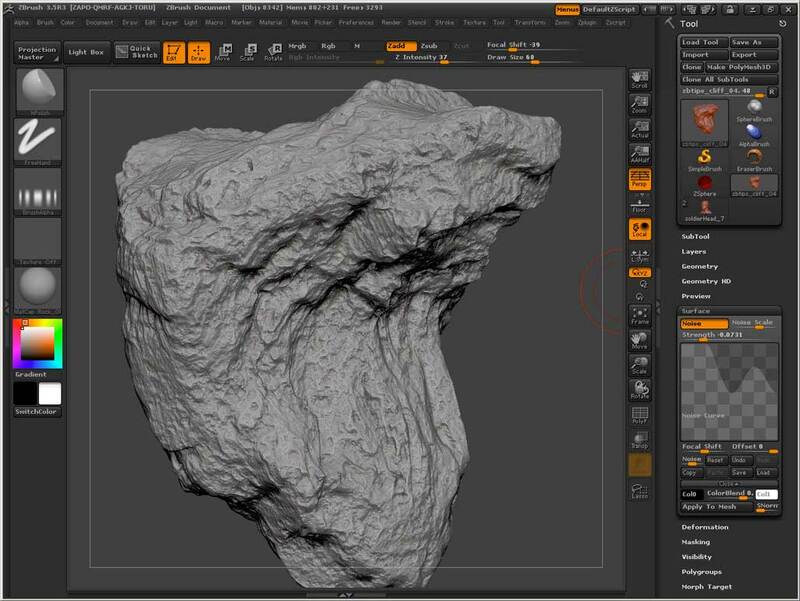 We will cover creating the basic shape, the natural striation and surface texture of a rocky surface. We will use the Clay Tubes brush, hPolish brush, PlanarCutThin brush and Surface Noise. 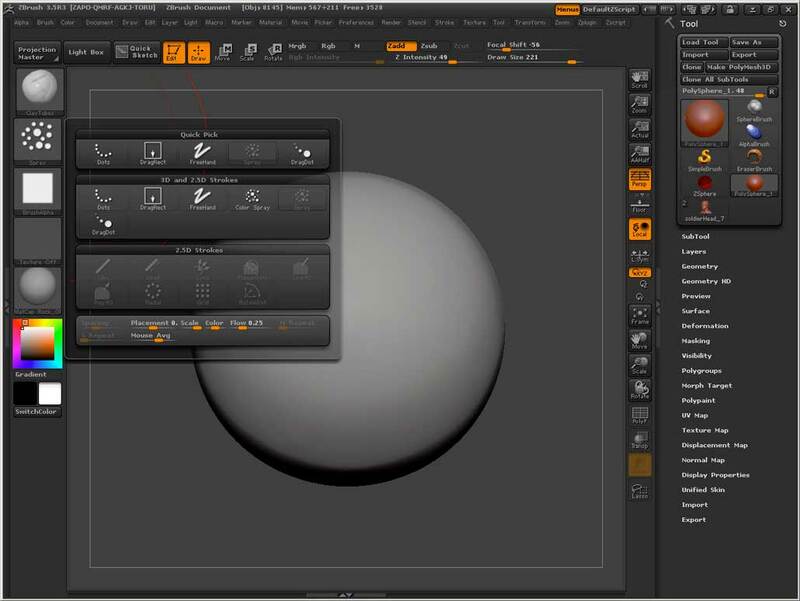 We will use most of the tools at their default settings with one exception, the PlanarCutThin brush. 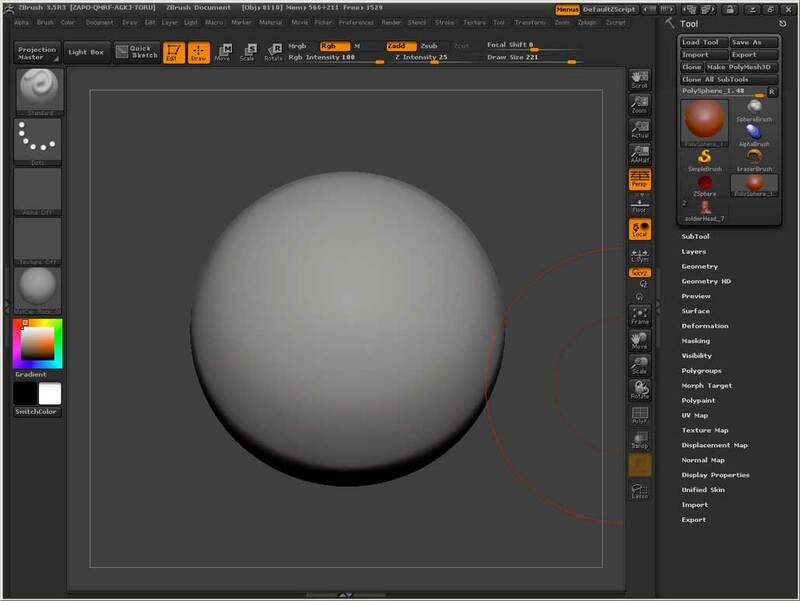 We begin with a basic poly sphere. 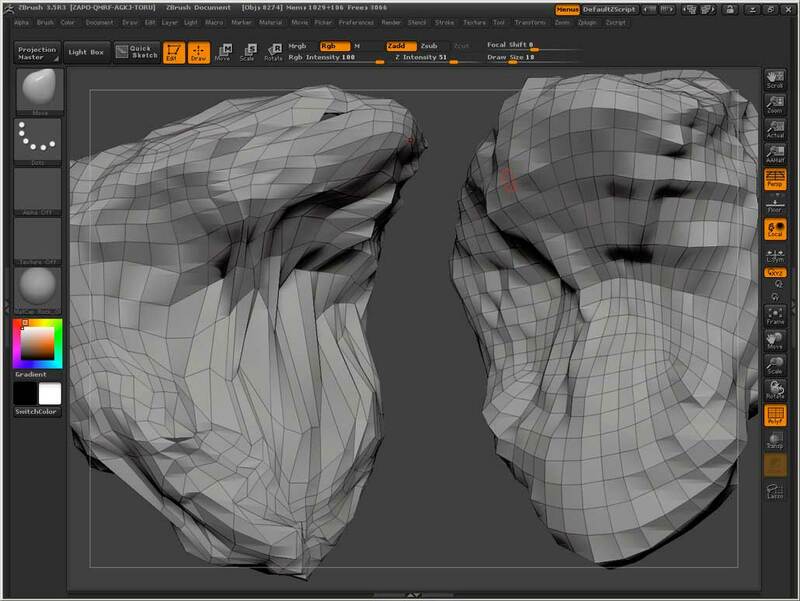 I use a PolySphere because it’s there when I start ZBrush and because I prefer working with closed surfaces. If I was to use a plane then I may end up having to deal with the polygons on the outside edges of the surface which always behave differently than other polygons. Select the ClayTubes brush and change the stroke to Spray. Using Zadd and Zsub block in the general shape of a cliff wall. Next we will smooth out our polygon distribution using Reproject Higher Subdiv. Lower the resolution of the PolySphere and smooth out the areas where you want to adjust the polygon distribution. 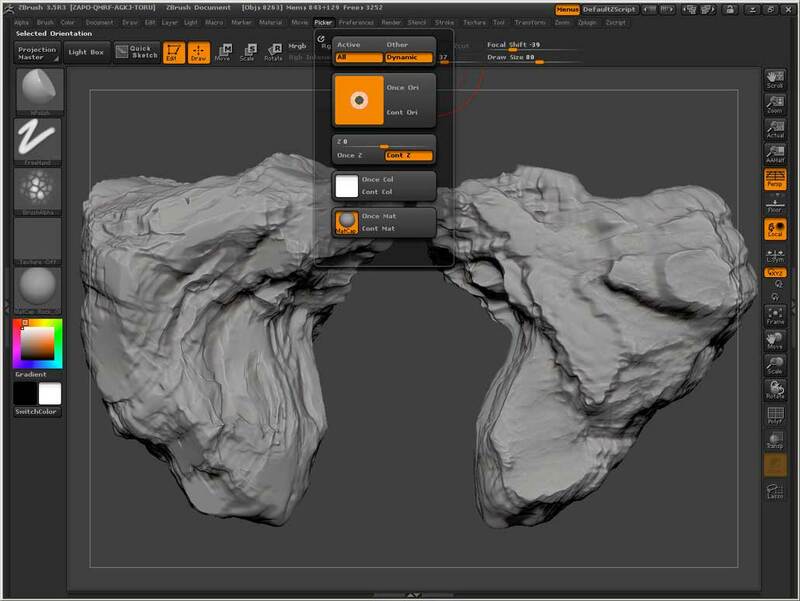 Then press Tool: Geometry: Reproject Higher Subdiv. Please note that you must press Reproject before you change the subdivision level. Our next goal is to refine the planes of the cliff wall. 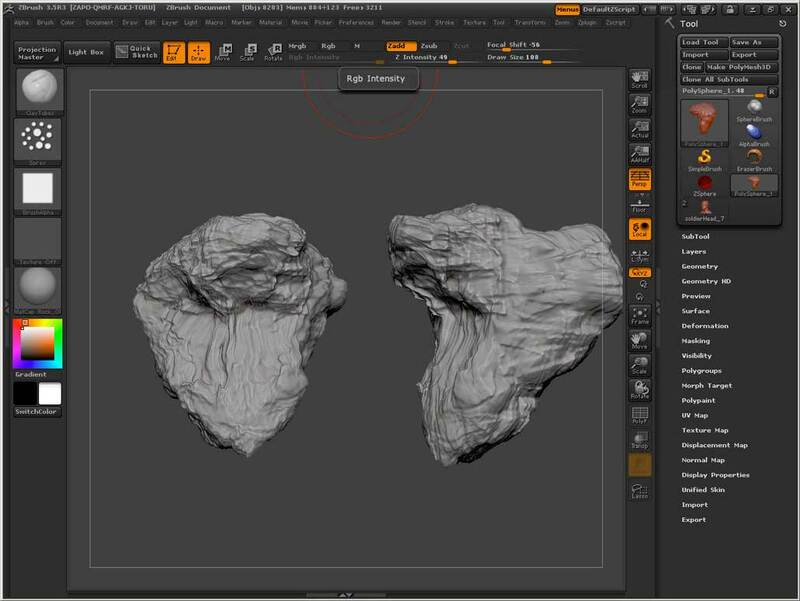 Select the HPolish brush and use it to establish strong planes in the cliff. Note, the HPolish brushes uses the normal of the surface you first click on to orientate the rest of the stroke. 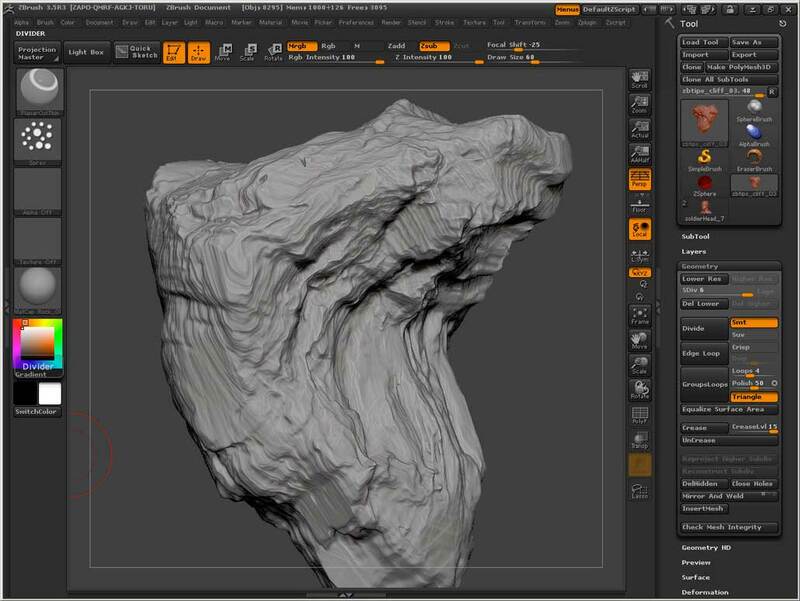 Choose the angle carefully and you will be able to create natural striations in the surface. Selecting an area that is perpendicular to the rock wall will work best for this. Another tip when working with HPolish is to set the orientation of the brush manually. Open the Picker palette, click on the arrow next to Once Ori and drag it to a blank spot on the canvas. Rotate your model so you are looking at it from a three quarters perspective and establish more planes. To further the natural striation of the rock wall we will use the PlanarCutThin brush with the Spray stroke. It is also useful to adjust the Outer and Inner Depth slightly. In this case I have adjusted them to .5 and -.5, respectively. Be careful of the direction of your brush stroke and the orientation of the surface your brush strokes begins on. You may also want to set Stroke: Placement to .9 and Stroke: Flow to .1 to spread out the striations. 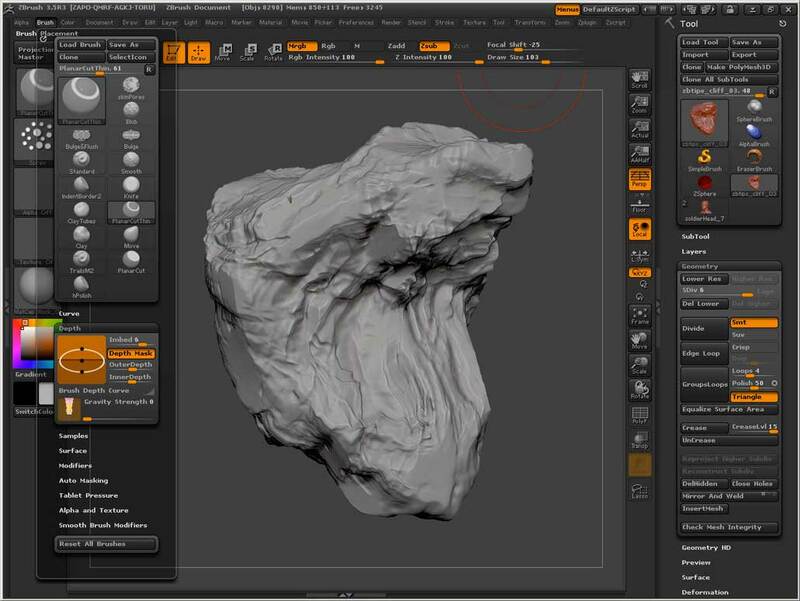 Finally, add some surface texture using ZBrush’s new Surface Noise feature. Try to match the curve you see in the image. Note, NoiseScale is set to 80.